Just checked to OS map of 1870 and I was correct. The Crown was on the same site as the current pub. The arches are an architectural feature on the Dulwich Estate often attributed to George Tappen who was the Estate Architect. If you look you'll see quite a few examples around Dulwich and in the Village in particular. I would get out more but I'm waiting for them to deliver the latest Dulwich Society magazine. Surely not enough room for the current 1905 building? Crossposted, your evidence seems conclusive but there still seem to be anomalies...odd. I have seen that image before but that is the pub that was there before this one. In the background to the right you'll see the distinctive mansard roof of the old diary which is now Roca. The pub was almost certainly another coaching inn along with the Greyhound so would have had large grounds, stables etc. On the OS map it looks like the gardens went right back to Court Lane. At that time of course all the land was held on lease from the Dulwich Estate and they may well have much more detailed plans of how the Village was laid out in those days. Cheers I see. Been looking more into it - apparently the Crown was knocked down and rebuilt, then the landlord of the Greyhound moved to the Crown before it (Greyhound) was knocked down and took the name with him to keep his clientele. Bet the new building was up in less time than the refurb took! There was a book about local pubs published last year which will have the story of how the Crown and the Greyhound became the Dog. > out in those days. Any, more positive feedback on the Dog. Looked super busy today as I cycled past, seems to be thriving. Just go in an check the place out yourself! I'll probably give it a body swerve as there are places more suitable to my tastes. I'm struggling to remember many refurbs that improved a pub from my perspective but others tend to disagree. Nobody has assessed it on Beer in the Evening which is always a bad sign. Coincidentally popped in for a pint yesterday afternoon (limited beer choices). It was relatively busy, but fewer people eating than I was anticipating. Not going to be racing back, but it's good to know its there and not permanently lost to residential/retail. > Just go in an check the place out yourself! > places more suitable to my tastes. If it was on my doorstep I would have no doubt tried it by now, i'm no stranger to a pub. But I like to know that if a pub is quiet, or crap, I can move to another nearby, which with this one you can't. I just hoped it had improved from its teething problems on re-opening - out of general interest. Crikey those reviews are bad. The manager keeps responding that things will improve, but these are ongoing issues, aren't they? Do they not carry out any staff training at all? To run at 2.5 stars average on Trip Advisor is actually quite hard. You have to be proper crap to maintain that. "Last Friday ordered fish cakes which were revolting and the staff beyond incompetent. On Thursday had burger and a steak which was good and the lady at the bar who had started that day was excellent." "It is great to here [sic] that the bar service you had was excellent. Its always good to know that the efforts of our team are being appreciated. Our staff are expected to ensure your visit is the best possible, and so your praises will be relayed to the whole team. I am also pleased that the food was to your liking, although I am sorry that other aspects of your visit were not." Just read the reviews...Sad that they obviously haven't taken any of the earlier critcism on board. The menu is dated (like something from a Harvister circa 1977) uninspiring and overpriced-we have never been tempted to eat there because of it and judging by those reviews I feel we had a lucky escape. the staff are still hopeless, the selection of drinks on offer are disappointing and also overpriced. What a waste of a lovely venue. The Crown & Greyhound is an iconic South London pub, ahead of the game in providing the perfect setting for a unique and memorable drinking and dining experience. Whether it’s a relaxed lunch, a sumptuous Sunday roast, an indulgent dinner or lazy brunch, we offer an enticing and flavoursome menu, focusing on provenance, local suppliers and the freshest of British seasonal ingredients. Our diverse and explorative drinks range includes well-kept cask ales, craft beers, premium lagers and ciders, a seriously seductive wine list and an exceptional selection of artisan spirits – all served in our laid-back yet vibrant pub atmosphere, complete with authentic interior, outdoor barbecue area and delightful urban beer garden. The manager's comments on Trip Advisor are hilarious, a bit Teresa Mayish. Whatever people say, he just gives them the same stock response and never addresses the specific issue! Serving in order at the bar - gawd this annoys people. After reading the reviews its unique and memorable for all the wrong reasons. 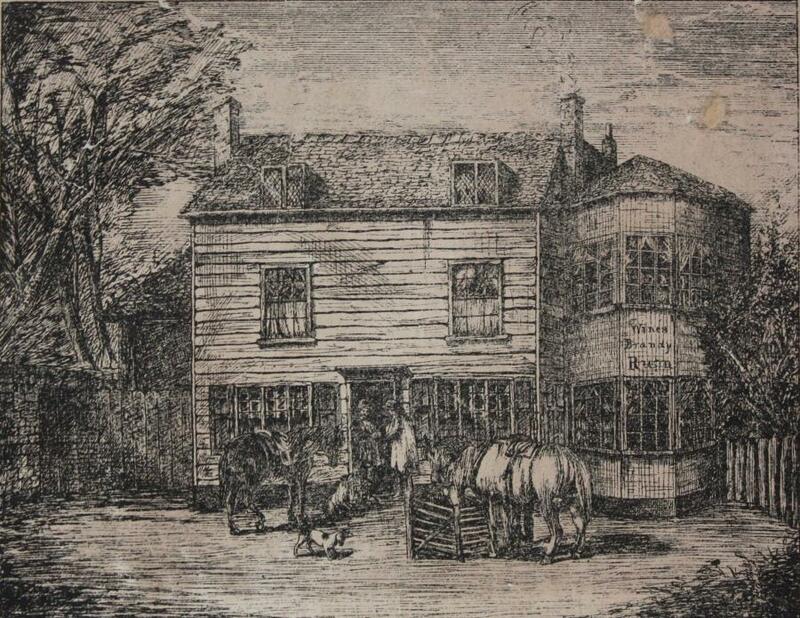 Leaving aside the pub's current reviews, at least its open, and if you want to know about the history of it have a look at the book 'The Pubs of Dulwich and Herne Hill' published last year and available in the Village Stationers in Dulwich Village. Unfortunately it does not cover East Dulwich, but it is very informative on all the ones in Herne Hill and Dulwich Village. It's a grand location, a decent refurb and you'd almost feel ok paying their current food prices if the staff were actually trained and the food was more than average. The burger (£14.50) is a prime example of how diners at the Dog are helping to financially subsidise M&B's unit losses during refit /closure. The exact same burger can be had at The Phoenix, Denmark Hill for £11.95. A difference of over 20%. I'd add that the staff at The Phoenix are helpful, proactive, seem to know their own name, what day it is and where the menus are. Baffling how they could get this site so wrong. Edited 1 time(s). Last edit was 2017:10:23:07:30:56 by DovertheRoad. > difference of over 20%. > it is and where the menus are. When staff give conflicting messages it's usually a management issue in my experience. Sounds almost like they're being told conflicting things. About a fiver for a burger and a pint in Wetherspoons. What's not to like? > Wetherspoons. What's not to like? > > Wetherspoons. What's not to like? You could get a cab with the money you would save. ..and not everyone lives in The Village. If you live in East Dulwich like I do Wetherspoons is nearer. Edited 1 time(s). Last edit was 2017:10:23:13:52:58 by DulwichFox. > Baffling how they could get this site so wrong. I haven't had the food and tbh, I'm unlikely to go to the dog to eat - but for a quick drink on the way from / to the park I think it's great. Decent selection of beers - I have found the bar staff friendly and efficient. Have they stopped doing proper fires? For me that was the big attraction as I'm not a pub-goer usually, but every time I've looked in this winter there has been no fire.